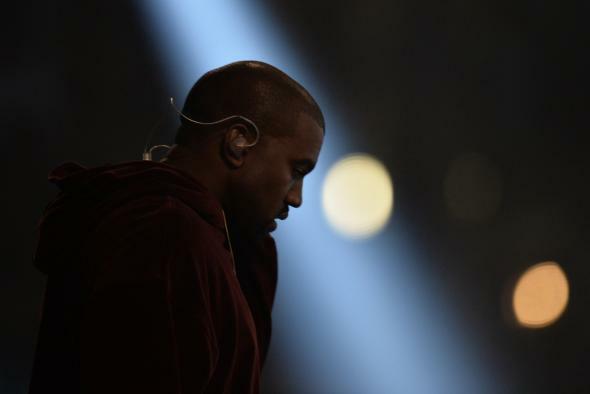 Kanye West’s “Wolves”: First track from new album premiered during New York Fashion Week and now on YouTube (Video). The first track from West’s new album is a moody love song with Vic Mensa and Sia. As previously announced, Kanye West previewed his new Adidas shoes, the Adidas Yeezy 750 Boost, in New York City on Thursday afternoon. But there was one surprise: The presentation was accompanied by the first track from his new album. The new song, called “Wolves” (you can hear it in full below), features rapper-singer Vic Mensa and singer-songwriter Sia, and it’s a bit of a surprise after recent Paul McCartney collaborations “Only One” and “FourFiveSeconds.” While “Wolves” similarly finds West singing in autotune (there’s no rapping), those songs had a stripped-down, off-the-cuff feel and more old-fashioned (by Kanye standards) instrumentation. The new song, in contrast, is built around a soaring background vocal (which, true to the title, sounds a little like howling), heavy synth bass, and alternating verses from West, Sia, and Mensa. It perhaps most closely resembles Drake’s work with producer Noah “40” Shebib (Mensa’s voice, in particular, sounds eerily similar to Drake’s)—though that might be a little unfair given that Drake wouldn’t be where he is without West’s hugely influential 808s and Heartbreak. Given the number of different ways West has described his new album (his Born in the USA? “Artistic, intellectual, kid-friendly songs”? ), it’s hard to know what this moody, prowling love song says about the direction of West’s new album, but perhaps we can expect something more like 808s without all the heartbreak.